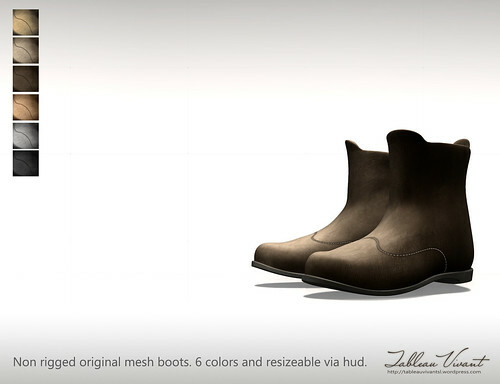 New creation for the FaMESHed April round: our first shoes release. Simple ankle boots, top stitched, rounded toe. Resize and color changing (six colors) via menu.